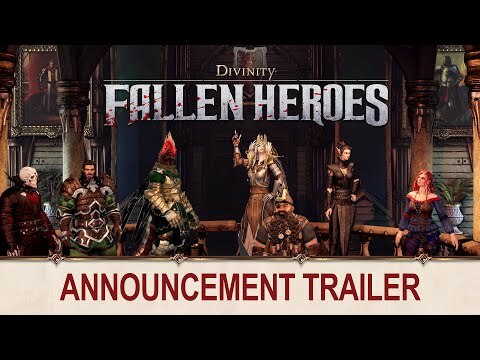 Divinity: Fallen Heroes is a new tactical game oozing with RPG elements, set in the universe of critically acclaimed RPG Divinity: Original Sin II. Command The Lady Vengeance, and lead its crew through over 60 hand-crafted missions where your actions and choices define the story. Fallen Heroes marries rich tactical gameplay with RPG choices and consequences, and introduces a wealth of new features and mechanics to the Divinity: Original Sin II engine. Delve deeper than ever-before into the rich, fantasy world of Rivellon as you command your troops aboard the Lady Vengeance. Explore new lands and wield new weapons and skills. Build your squad and vanquish never-before seen corners of Rivellon. Divinity: Fallen Heroes features two player cooperative play as well as a single player mode. With the fate of the races in your hands, it’s up to you to lead the Lizards, Elves, Dwarves, Undead, Demons and Humans. Recruit hero and veteran units and dispatch squads armed with both magic and steel. Each decision will have to be carefully weighed as your leadership will be tested and your choices judged. The upcoming Divinity: Fallen Heroes PC, PS4, Switch and Xbox One release date is 2019 in the US and the UK. Notify me when Divinity: Fallen Heroes is available.